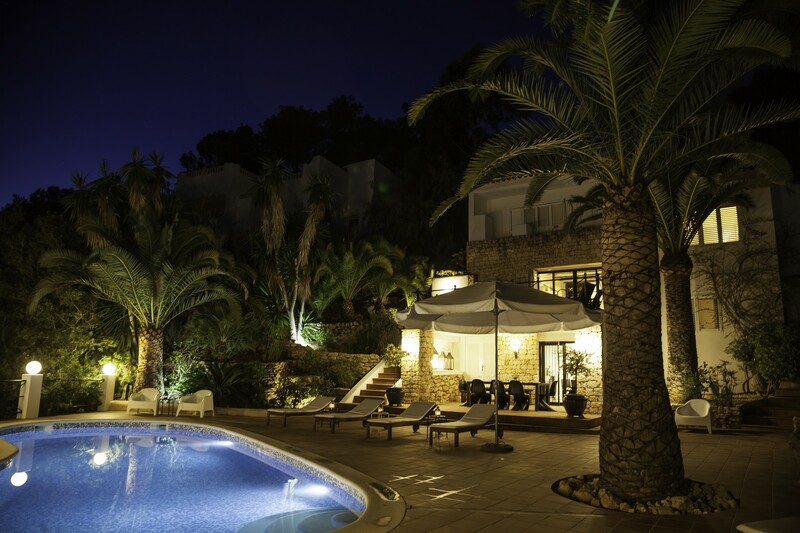 Villa Verde is a beautiful Ibiza villa with swimming pool, set over four levels with four bedrooms and four bathrooms. 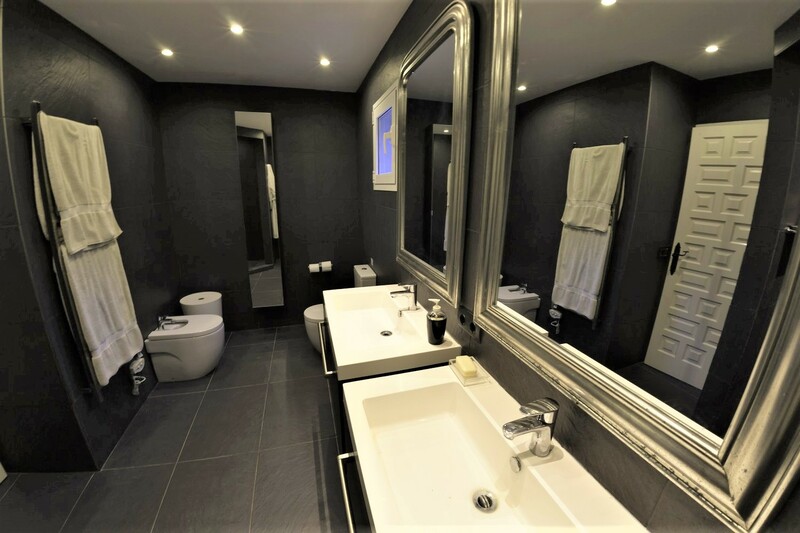 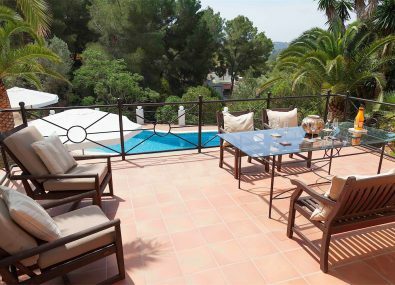 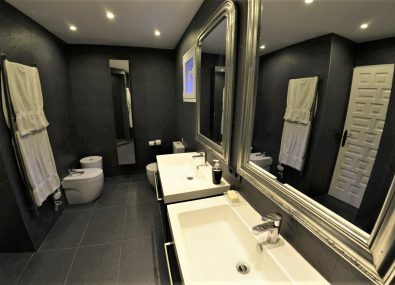 The villa is located within the quiet residential area of Valverde which is two minutes to the beach resort of Cala Llonga and five minutes to Santa Eularia. 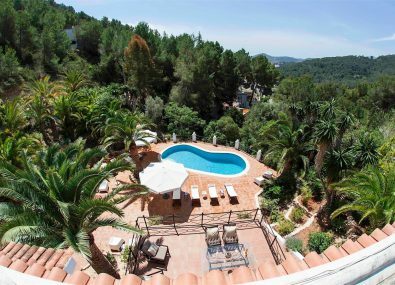 With its own private swimming pool but also with a very large communal swimming pool and café/restaurant within the community. 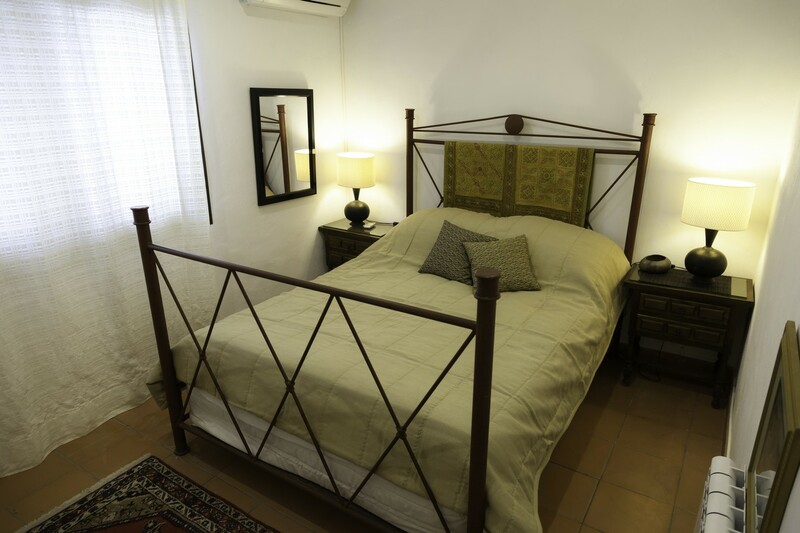 The villa has air conditioning throughout with the exception of the kitchen/dining area. 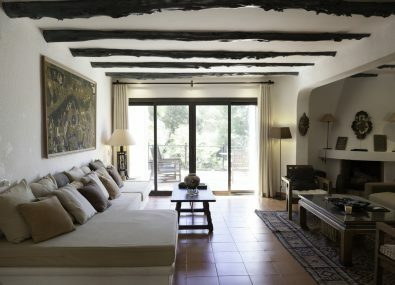 The main entrance leads to a spacious living area with large doors leading out to a sun terrace with views over the garden and the valley. 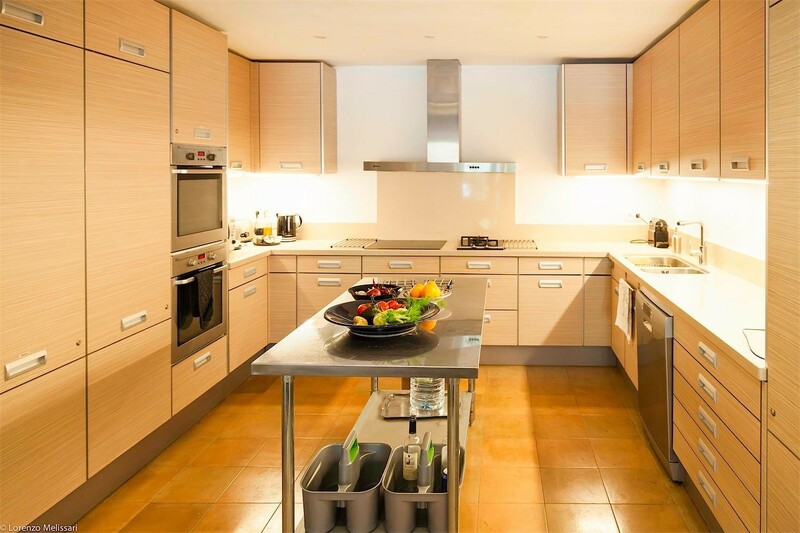 Located on the lower level is the kitchen and dining area, comprising of a very modern open plan fully fitted kitchen, with Bosch & AEG appliances. 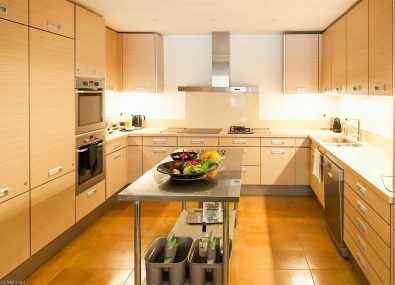 The kitchen features two ovens plus a hob with two induction, two electric and two gas cooking rings, along with dishwasher, fridge freezer, washing machine and tumble dryer. 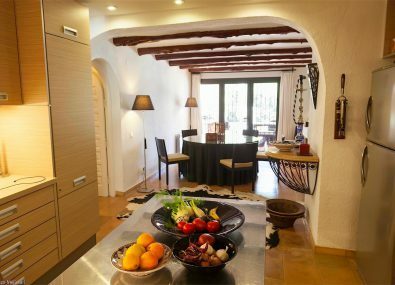 Dining area has table and chairs. 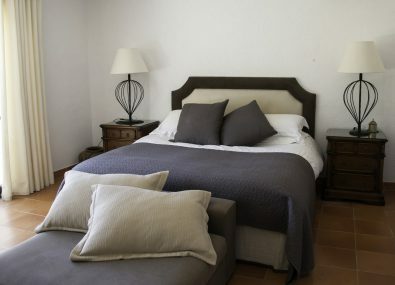 The villa also has WiFi, Sonos music system, Sky TV and Apple TV. 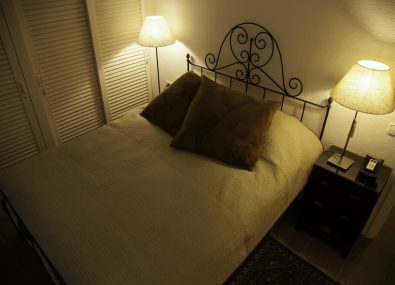 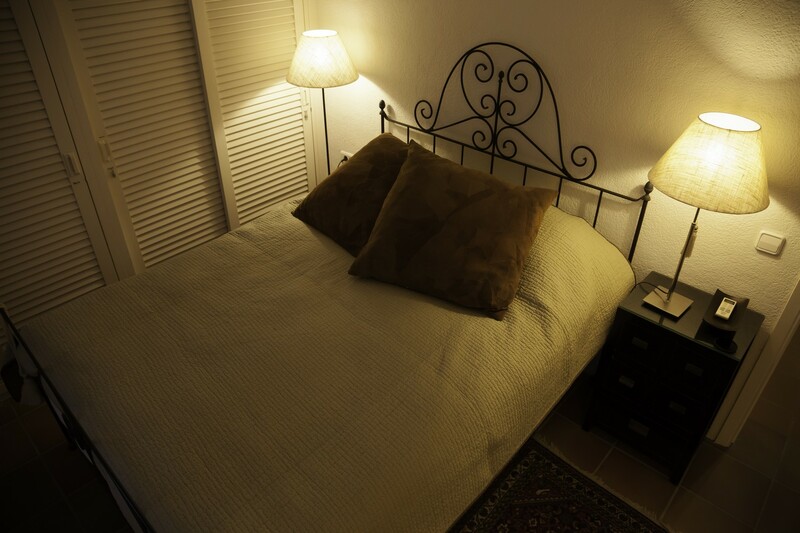 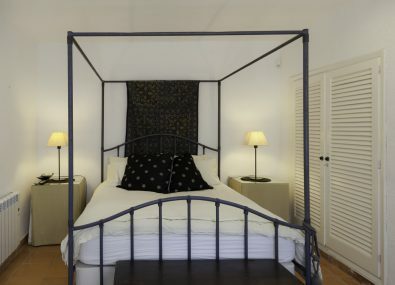 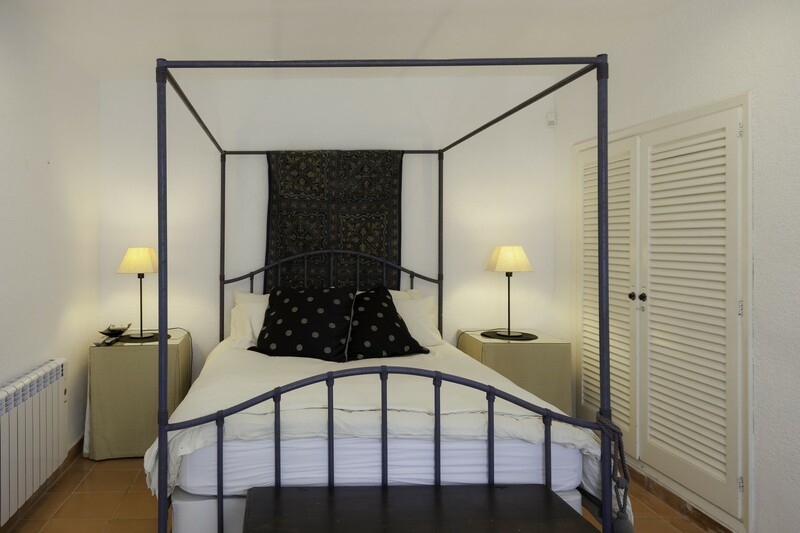 Four double bedrooms are located on two levels (one with a four-poster bed). 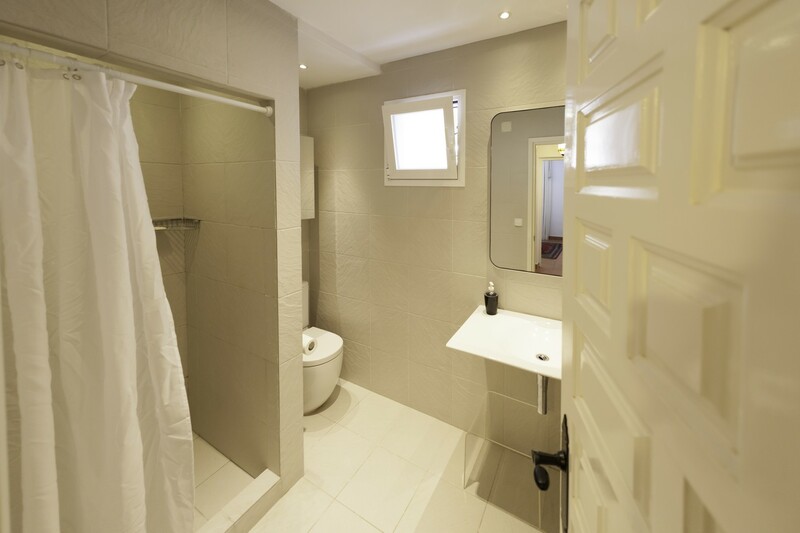 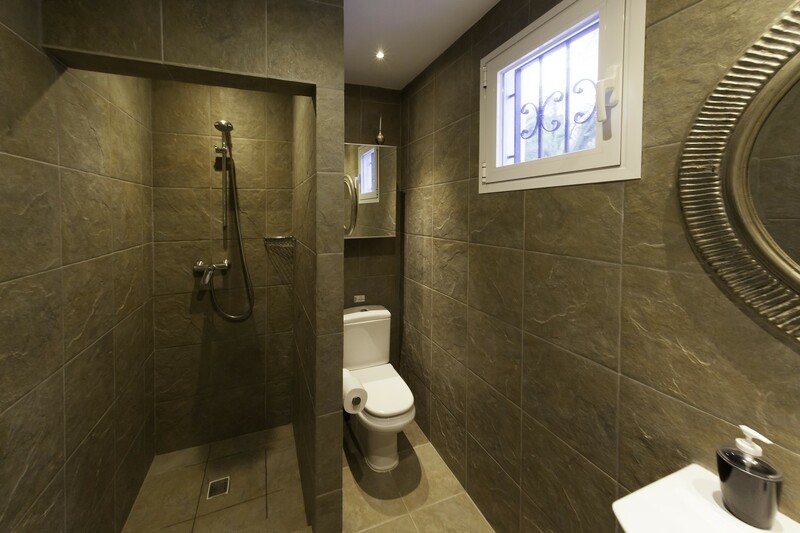 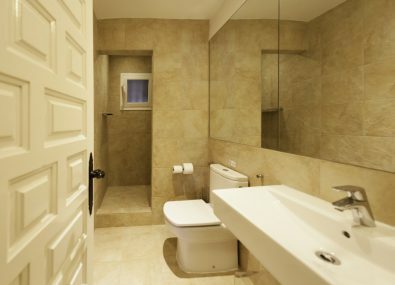 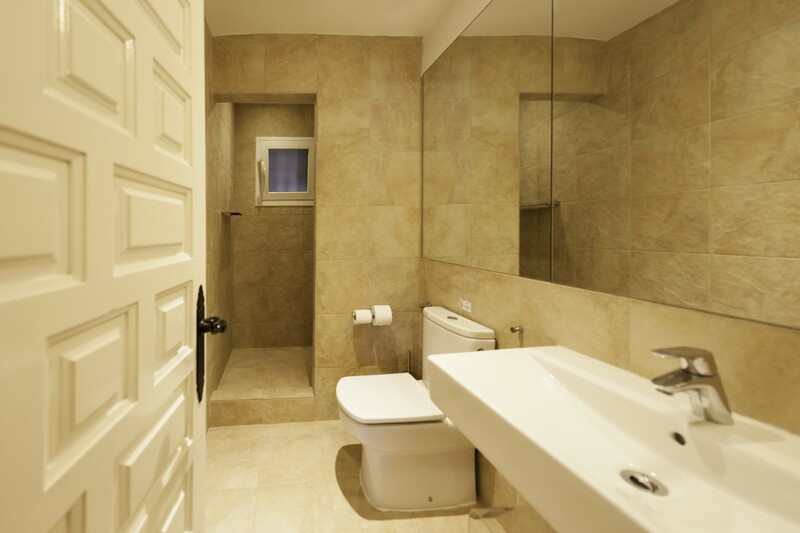 All have their own shower rooms as well as fitted wardrobes. 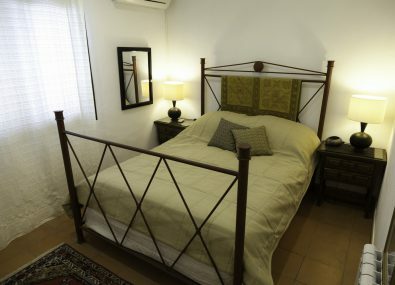 Two of the bedrooms have Sky TV, Apple TV, Sonos, a media centre and movie box. 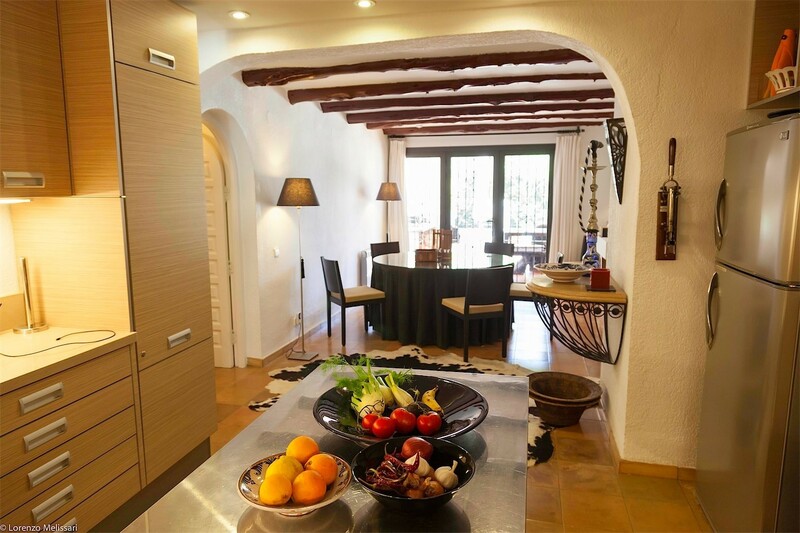 From the kitchen/dining area, doors lead onto a covered terrace with large dining table and chairs. 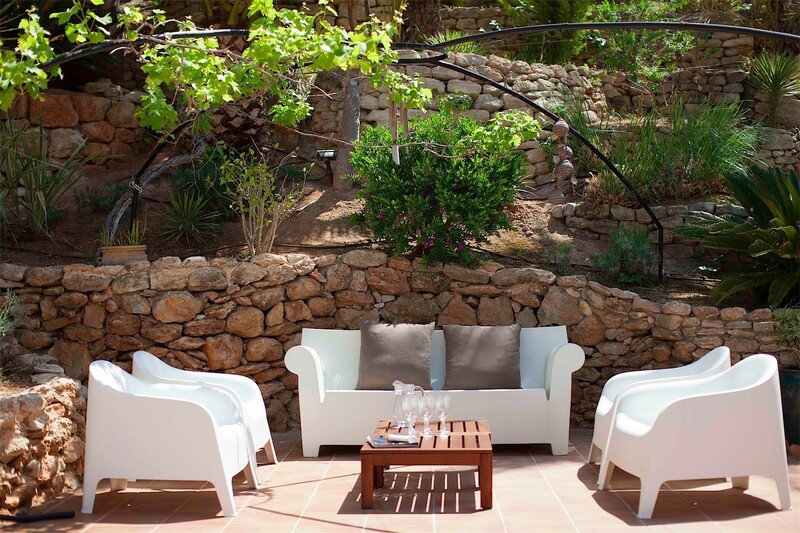 Also with a gas BBQ. 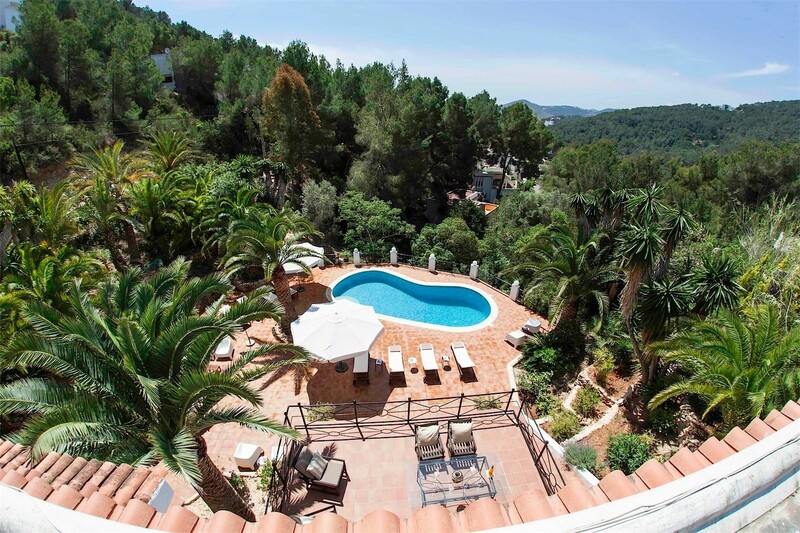 Stunning Mediterranean gardens with palm trees surround an enormous paved terrace. 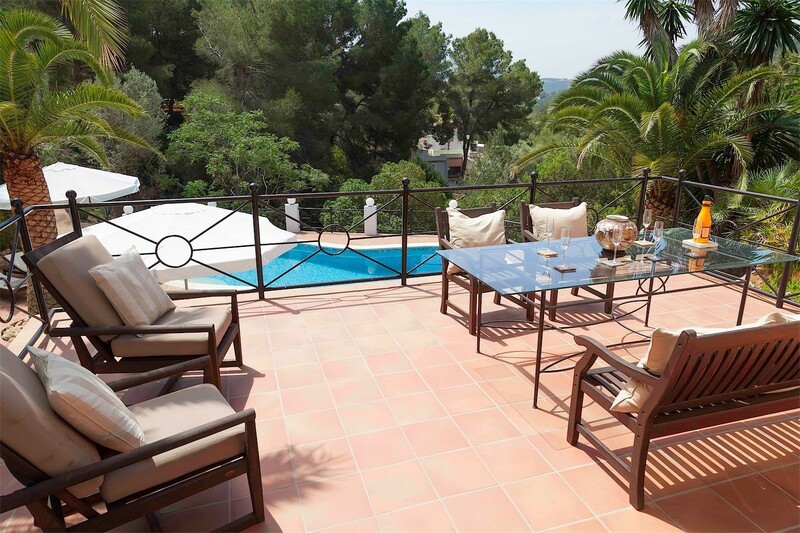 Kidney shaped swimming pool of 10m by 4m, surrounded by sunbathing areas with comfortable sun loungers. 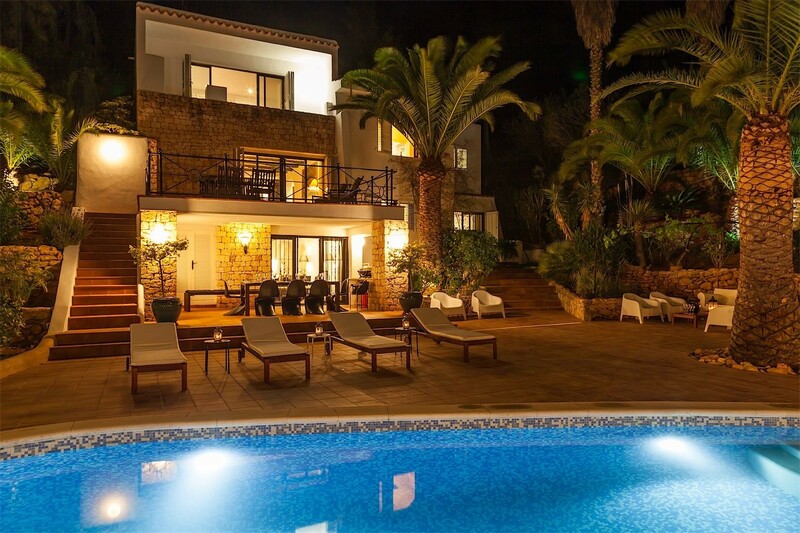 The location of this beautiful Ibiza villa with swimming pool is within a small, exclusive development of villas and has the benefit of a large community pool, restaurant and bar. 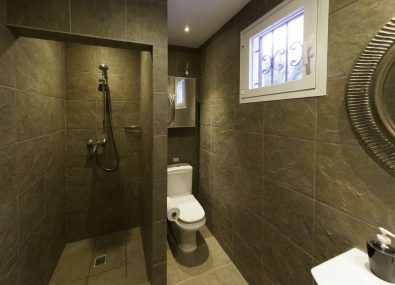 The area is very safe and the house is very secure with an alarm system, electric gates, video entry and shutters on the windows.